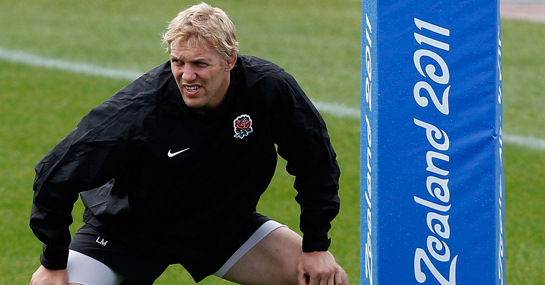 Lewis Moody will not feature in England’s Rugby World Cup opener with Argentina. The England captain has managed just 62 minutes of Test rugby this year and concerns over his injury problems remain in the England camp after Moody failed to prove his fitness ahead of the opening match. England coach Martin Johnson was always hopeful of having his captain fit for England’s tough opener but it’s not too be as the 33-year-old Moody remains a controversial pick. There’s no doubting Moody’s influence on a game when fit, but his injury troubles have become so consistent that he’s very rarely seen on a rugby pitch. His absence means the England team for the Argentina match on Saturday morning becomes a little bit more obvious with Mike Tindall certain to be handed the captaincy and a start at 12, while James Haskell will start at openside flanker with Nick Easter starting at number eight. Johnson will find it difficult to drop Manu Tuilagi following two tries in two England starts and so Shontayne Hape looks likely to sit this one out, leaving Tindall free to start at inside centre. While it’s a blow for Moody, the England team that won in Dublin looked strong and they will be confident of getting their World Cup campaign off to a successful start in Dunedin. England are 1/8 to beat Argentina on Saturday but the Pumas were shock winners in their opening game of the 2007 World Cup when beating France on the opening night and England will be well aware of the threat Argentina cause. The handicap is set at 13 with England 10/11 to win with a -13 point start. Since drawing with Argentina in their first ever meeting back in 1981, England have only managed to beat the Pumas by more than 13 points on four occasions in 14 matches. With a pumped up Pumas side raring to go, Argentina currently look a solid bet with a +13 point start at 10/11.